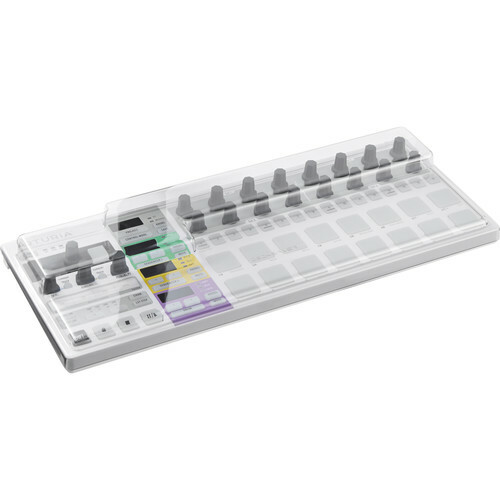 Designed as a safeguard against damage, the Arturia Beatstep Pro Cover from Decksaver is made of a durable polycarbonate material. It is custom-made for the Beatstep Pro to protect fragile parts, such as pads and knobs, from impact during transport. It also keeps the unit free from dust and debris. The transparent cover is lightweight at 1.7 lb / 0.75 kg, and fits in flight cases and controller bags. It is designed to accommodate the unit even when it is fully connected and ready for use, which is convenient for protection during shows when there are multiple performers set up on stage. Box Dimensions (LxWxH) 17.0 x 7.1 x 1.2"